I just found this brilliant way of transforming a bedside table into a sink. The top of the table can be covered with a counter top either tiles or granite and make it plumbing ready by removing the inner drawers so you could possibly install the piping and the faucet. You can still make use f the underneath shelves as an additional storage for towels or other bathroom accessories. 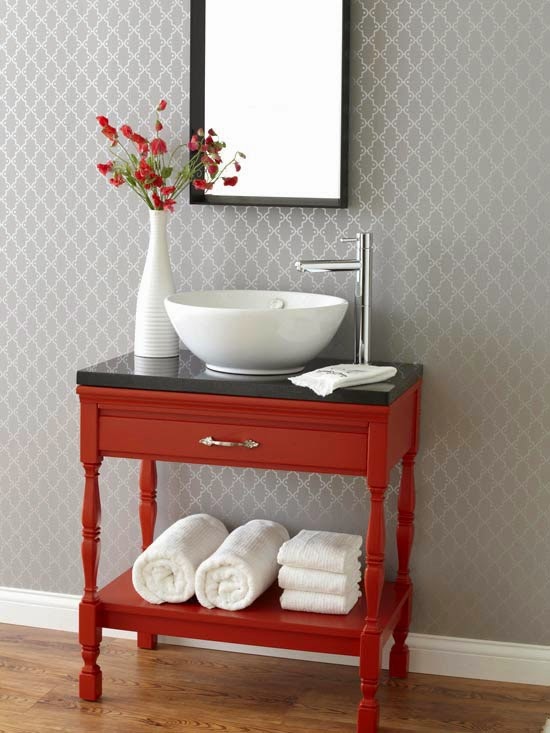 You may even want to repaint the table to match the color of your bathroom tiles for a unified theme.